Make sure you check this list before your next trip! You know what gets your vacation off to a terrible start before you even touch down in Orlando or Anaheim? Your kids completely soaking themselves with the apple juice you knew you shouldn’t let them order on the plane. 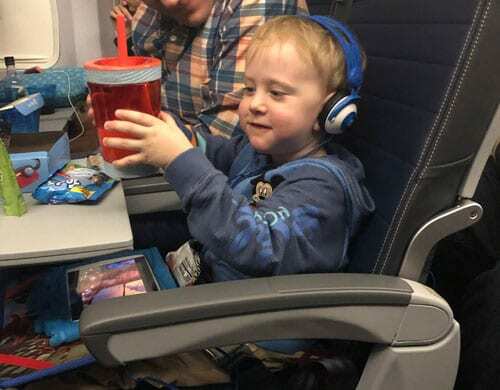 Aside from those little plastic airplane cups being TERRIBLE for the environment, it’s basically impossible for kids to keep from spilling them. We pack no-spill, reusable cups and have the flight attendant pour drinks straight into them. We wash them daily and use them at the parks throughout our trip too. 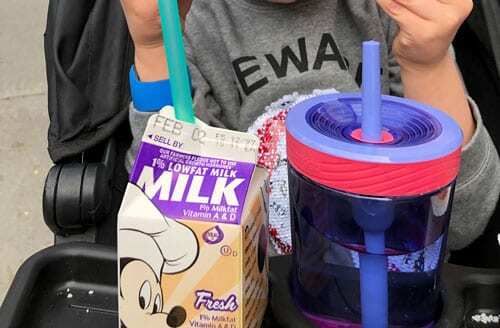 Disney is getting much better about cutting down on single-use plastic in the parks, and one big step they’ve taken (in addition to finally offering great reusable bags for sale in the shops as an alternative to the plastic ones) is to stop giving out straws and lids quite so readily, and shifting to paper straws, which unfortunately quickly fall apart. If your kiddos still need a straw to drink from, I recommend bringing your own reusable cups (see above), as well as packing some reusable straws. These come in super handy for things like milk cartons. I love Silikids Silicone Straws because they’re easy to stash and have a wide opening for a good cleaning back in the room. 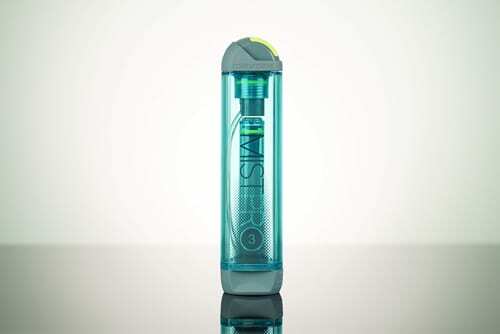 Don’t forget a travel bottle of dish soap to wash your reusable items! In case you didn’t get the memo, fanny packs came back in full force last year. Need proof? The ‘90s throwback that we were all too cool for not so long ago accounted for 25 percent of accessory sales growth between January and October of 2018. Mercifully, this trend is showing no signs of slowing, and I am here for it. 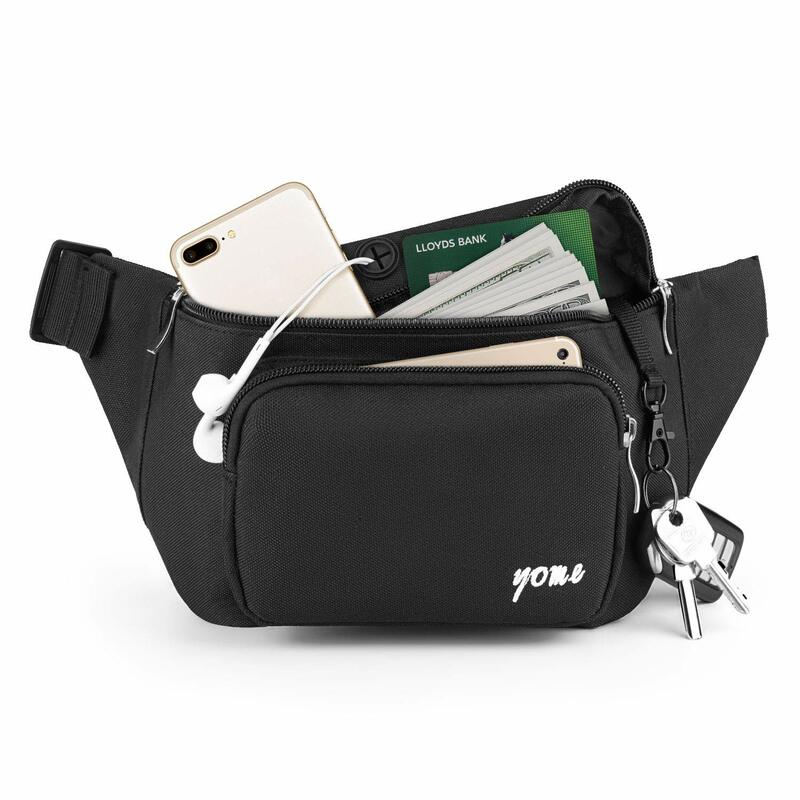 Yes, with young kids you’ll probably still need to bring a larger backpack or diaper bag, but I love to stash just the essentials — ID, credit cards, phone, sunscreen, and hand sanitizer — in a fanny pack and leave everything else in a larger bag in the stroller while we go on rides. My Disney go-to is by Petunia Pickle Bottom. The brand also makes an awesome line of diaper bags and other essential kid gear. My kids have always been TERRIBLE sleepers. 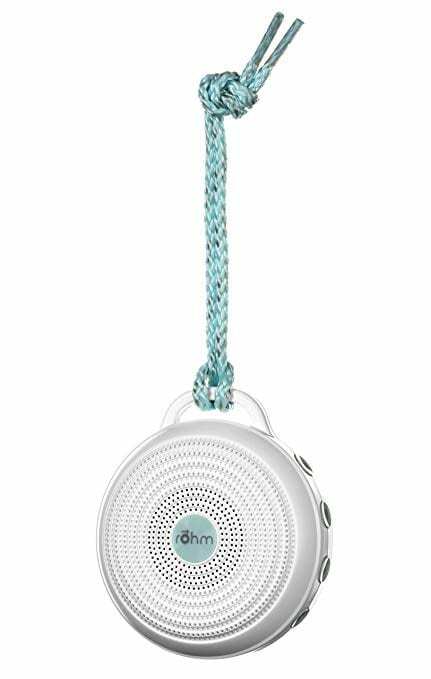 I don’t know where we’d be without a Dohm sound machine in each of their rooms to help them fall asleep — and stay asleep — by masking all the noise one or the other of them is inevitably making. So, when we all stay in the same room, with bathroom breaks, hotel hallway noises, and four people breathing, coughing, tossing and turning, white noise is ESSENTIAL to any chance of an uninterrupted night’s sleep. We’ve always packed our somewhat bulky Dohm in the suitcase, but the company has now introduced a travel-sized Rohm that weighs almost nothing, and takes up minimal room in your suitcase. If you’re headed to Florida, particularly in the summer, it will rain. Probably every day. And of late, you’re hardly safer in California. So you’ll need it all. A rain cover for your stroller is a must. Sure, you can duck into a ride, shop or restaurant, but leave your stroller uncovered and it will soak your kids all day. Also essential: rain jackets or ponchos, plus a pair of flip flops to change into if your shoes and socks get soaked. 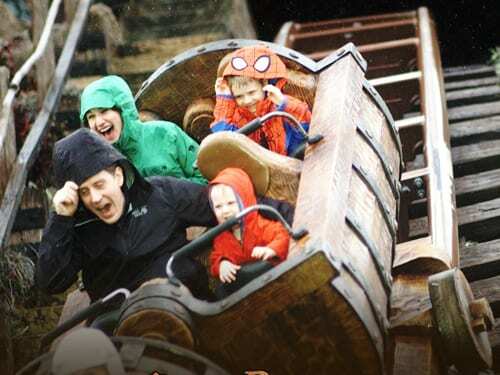 With the right gear, no amount of rain can spoil your fun! Wearing good-quality sneakers is essential to keeping your aching feet from going on strike after long days traversing the parks. Make sure you bring two pairs. 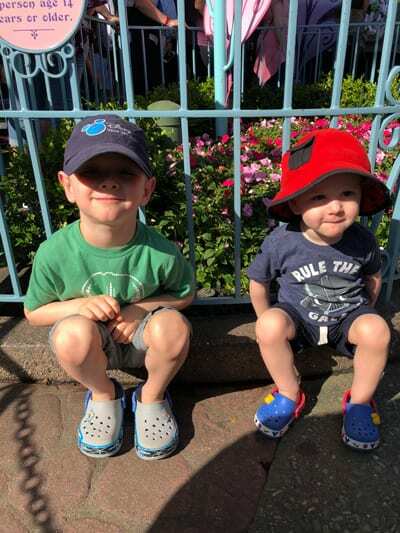 If you take a break midday (we always return to the resort to revive ourselves with a nap or some pool time before heading back to the parks refreshed and ready for more), it feels great to put on a different pair of comfy shoes for the evening. 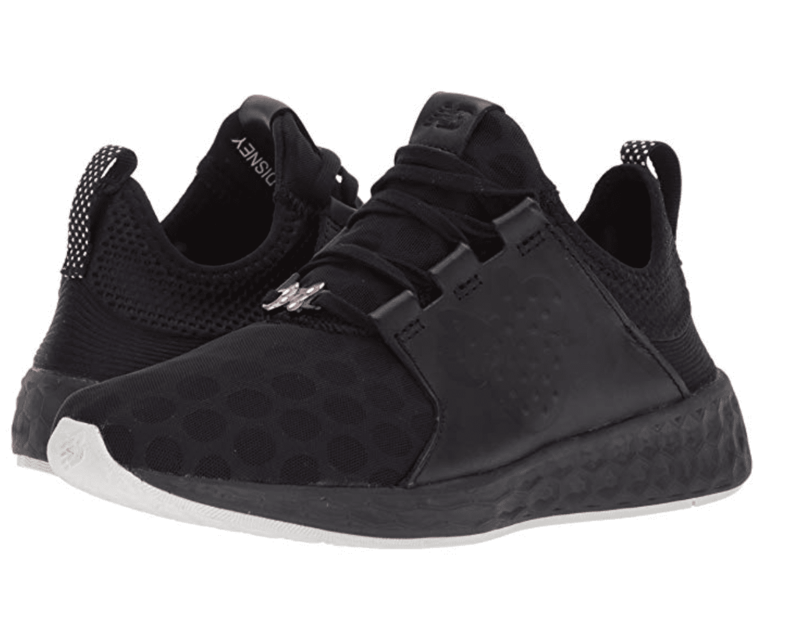 That second pair of sneaks will also come in handy if your first pair gets soaked by one of those inevitable downpours. This is a seasonal one, so you’ll want to check your forecast. 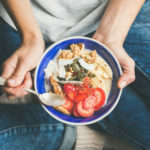 If you’re headed to Orlando from about April to October, you can leave it at home, but temperatures can be unpredictably cold throughout the winter — one day 80, the next plunging to 38 overnight — and in SoCal, nights are very chilly nearly year-round. We toss the Kammok Bobcat Trail Quilt, which weighs almost nothing and packs conveniently into a pouch, into our stroller to cover up our little ones on cold nights while we wait to watch the fireworks. 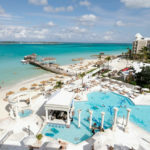 Then, because we always share a room with the kids to save money (read: fund four Disney vacays a year), once they’re in bed, my husband and I head out to the balcony to take in the views and have a glass of wine. On extra chilly nights, the blanket has saved us from having to hang out in the bathroom or hallway after the kids went to sleep. This one might seem excessive in a crowded suitcase, but can you put a price on an organized hotel room? 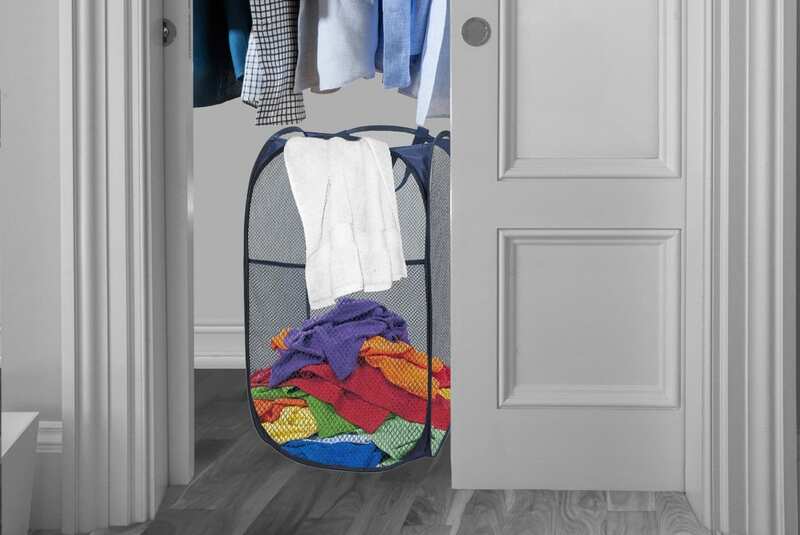 We slide this practically weightless pop-up laundry basket into our suitcase, then conceal it in our hotel closet and chuck everyone’s dirty clothes in there. No more trying to jam them into that tiny plastic hotel laundry bag or constantly dragging out your suitcase to stow them. When it comes time to leave, packing is a breeze. The basket’s contents go straight back into the “dirty clothes suitcase,” everything else goes in the other suitcase, and the clothes and basket get dumped in the laundry room when we get home. That’s one suitcase unpacked and put away in the blink of an eye! 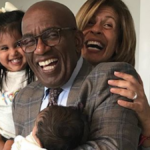 Think you don’t need a baby monitor because your kids have outgrown theirs or because you’re all staying in the same room? 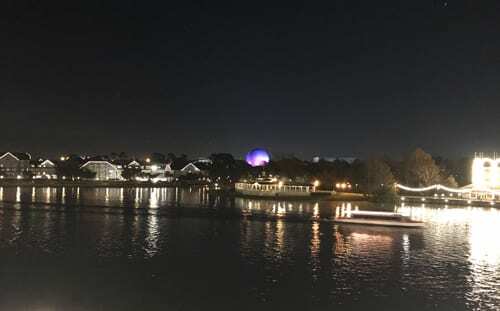 Spring for that balcony room (another reason we love Disney Vacation Club — all DVC resort villas have private balconies), put those kids to bed, grab a bottle of wine, and head outside. (Don’t forget the aforementioned blanket if it’s chilly.) You can relax knowing the kiddos are safe inside while you enjoy some quiet time together. 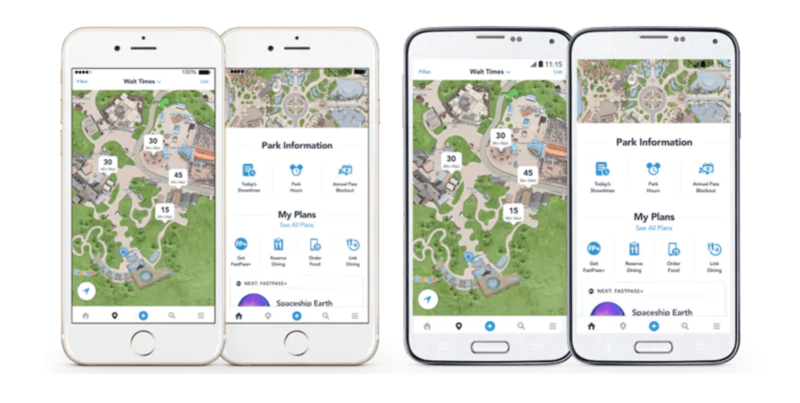 In order to maximize your time at Walt Disney World or Disneyland, you’ll want to use the relevant park’s mobile app (My Disney Experience for WDW or the Disneyland mobile app) to monitor and manage your FASTPASSES, dining reservations, Disney PhotoPass photos and wait times, plus play the new-ish Play Disney Parks app while you’re waiting in lines. This will take a rapid toll on your phone’s battery life so be sure to bring an extra portable phone charger. Did I mention it will rain? Because in Florida it definitely will. A rain coat will protect your top half, but there is literally nothing on earth worse than the feeling of soaked jeans or heavy shorts clinging to your legs after a downpour. Even if you’re headed to Anaheim and your forecast is dry, there are still a few water rides that can cause similar soaking. Repeat after me: performance material is your friend. If you’re like me, you already try to wear athleisure every day of your life, and your Disney vacation is no time to quit. My go-to Disney pair is the Athleta La Viva pant — not only do they dry practically instantly, they have lots super-convenient zipper pockets. Even on days when the number on the thermometer doesn’t seem that high, Florida and Southern California sun can get HOT. And if you’re there in the summer, forget it. You’re guaranteed to scorch. 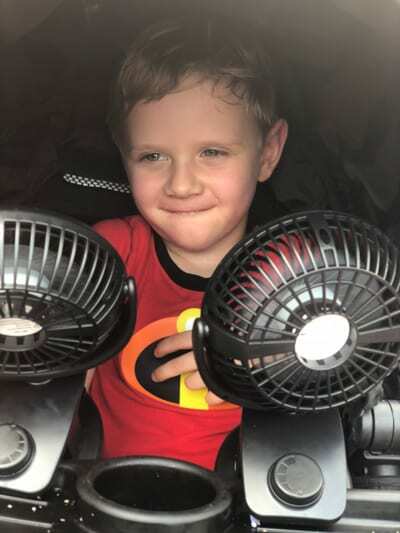 We always bring a portable fan (or two) to clip on the stroller to keep our kiddos cool. The fan can only do so much when it’s truly blazing hot out, so a mister can also make a big difference. Disney sells a fan/mister combo in the parks, but the fan isn’t very powerful. We get more mileage out of bringing a separate fan and our favorite high-tech mister, MistyMate MISTPRO3, which uses nano-particles of mist to cool the ambient air by up to a whopping 30 degrees. 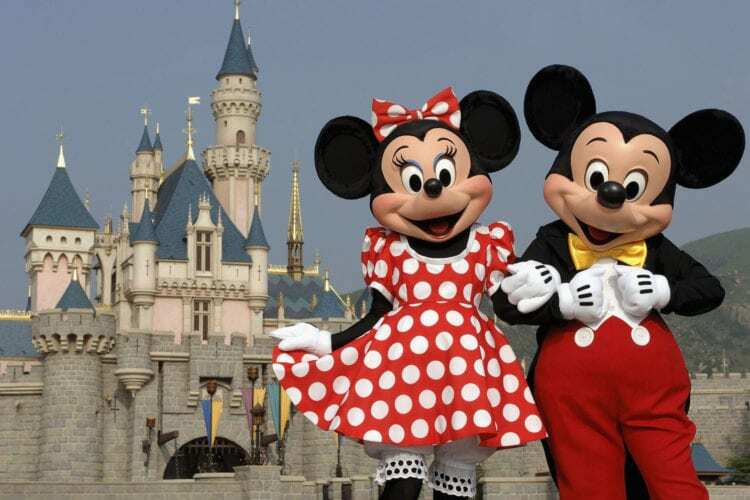 Want to save money on snacks at Disney? I’m going to let you in on a little secret. If you buy a souvenir popcorn bucket for $10 on day one, you can refill it for the length of your stay for just $2 a refill. Compared to the high price of other Disney snacks like Mickey pretzels, churros, and popcorn in a disposable container, the bucket pays for itself quickly and you’ll love having that cheap snack option readily available throughout all the parks. We attach a carabiner or stroller hook to our stroller’s handle to keep up with the bucket. 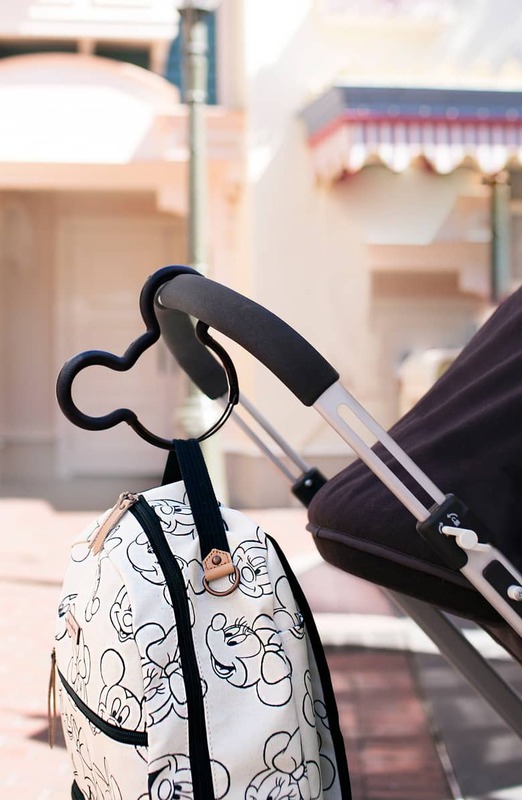 We love this Mickey Mouse stroller hook by Petunia Pickle Bottom. 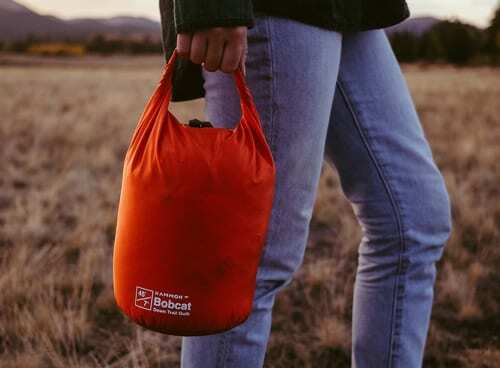 It’s also great for hanging small bags or jackets. Think you’re not a hat person? Try having a magical day without one when it’s 98 degrees with 98 percent humidity. Aside from protecting your skin from the sun’s harmful rays (Make It Better’s 2018 Best Chicago Cosmetic Dermatologist Dr. Jordan Carqueville recommends a hat with a brim at least 2 inches wide to adequately cover your face, plus some sunscreen with an SPF of at least 30), a hat provides instant shade to help you feel cooler in the blazing sun. 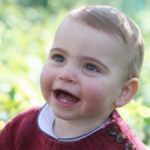 Written by Brooke Geiger McDonald for Make It Better.